I like to live on the edges. There is freedom there. And what that means is I’m not constrained by the ways things have been done or the ways people think they ought to be. Even in choosing to do out of the box things with my life, I do them in rebel ways. I get along really well with creatives and people who are also on the edges and don’t much care about doing things ‘right.’ I love working with highly sensitive introverts. I work with and mentor women who want to do life and business their way. Women who are strong, loving and kind. I like to show up is as myself in my space with the light coming in as the sun rises over the ocean in my front yard and sets in the field in my backyard. I share from my sacred space and lead calls from there too. 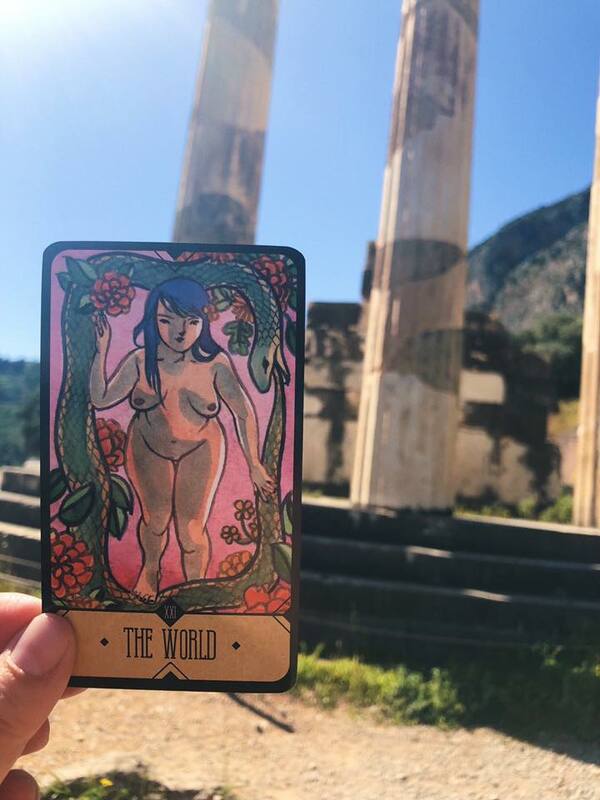 I’m someone who loves tarot, learning and exploring and I’ve been doing it since I was a teenager. I don’t have all the answers but I do have a compassionate heart and a curious mind. And at the end of the day, I’m meeting you where you are. Witnessing you. Not pushing you or telling you what to do or think. And I’d love to invite you to be a part of Sage Intuitive Tarot School! Come and hang out with some pretty amazing, kind and loving fellow empaths and rebels WHILE learning a ton of fun stuff about tarot and reading cards together as our lives transform and change. ← Have I Lost My Voice?